Fortunately, there are digital tools built specifically for analyzing website visitors’ behavior. 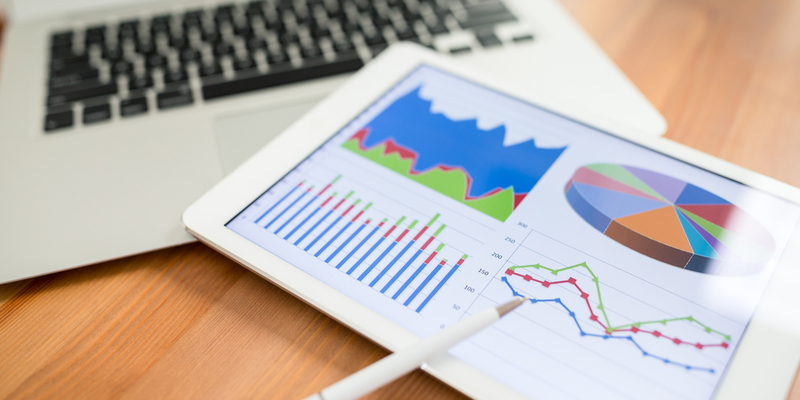 The most popular analytical tool is Google Analytics. Google Analytics is used by most savvy B2B marketers, but what you may not realize is there is much more to the tool than just the analysis of website visitor behavior. In other words, you must get down to the nitty-gritty when it comes to identifying who is visiting your B2B website and understanding exactly who you are dealing with. Let’s take a look at the different types of marketing segmentation you should be aware of. So now you may believe that you are all set. You are using Google Analytics to analyze the behavior of your B2B website visitors’ behavior and feel you are on the way to increased sales and productivity. Not to rain on your parade, but as ClickZ points out in this survey, actionable insights from collected data are still the biggest challenges of marketers. In other words, unless you are effectively putting the data you have collected to good use, your efforts won’t have any real major effect on your sales. Below, we have included some highlights from the survey, which you can download for free here. The State of Marketing Measurement, Attribution & Data Management is based on a survey of 370 marketing professionals conducted in September 2018. Respondents to the survey were split between brand/client-side marketers (63%) and marketing agency professionals (37%). First, the study looks at how companies—specifically brands and marketing agencies—are managing their data to get a better view of their current and potential customers. It then analyzes how they are operationalizing this data to generate insights across marketing measurement and attribution to drive business value. Businesses are using 7 separate technologies to extract insights from their data, on average. Just 33% of brands believe that their current measurement solutions offer accurate attribution of all media and data. 29% of survey respondents use attribution technology on all digital marketing campaigns. 5% of businesses have a clear view of the customer lifetime value (CLV) of their customers. 9% of marketers believe their organization has an “excellent” understanding of multi-touch attribution. All the survey really shows is that we all have a ways to go in learning to use the data we collect effectively. It reveals that even though businesses are keeping track of website visitors, most marketers don’t seem to have much faith in the data they collect. It also shows that many businesses have spread their data collection too thin and need to learn a simpler, more streamlined and laser-focused way of collecting data. Now is the time for you and your team to learn how to effectively use the data you are collecting with your website analysis to begin converting your B2B website visitors into real paying customers. As previously mentioned, segmentation is a huge factor. Understanding your B2B website visitors’ demographics and other characteristics is crucial to converting leads into customers. Always be trying out something different to discover what works best. We’re big fans of content marketing. With Google Analytics, you will be able to discern what search terms website visitors used to find you and which of your content gets the most hits. You can tell exactly how long a visitor stayed on your website and which information they found that kept them there the longest, and expand on it. Another way to convert leads is by always staying in communication with website visitors. Reply promptly to blog and social media comments. Make sure your customer service is first class. Ask happy customers to write good reviews of your product and your customer service. Bottom line, to make the website visitor information you have gathered work for your business, you must study each piece of data as if you were mining for gold. Put the information you collect under a microscope, analyze it, then figure out the most effective way to put it to use.